How do I know the Bible is true What does it mean when the Bible talks about the kingdom of God How can God be three persons at the same time Help the kids in your life find answers to the questions they ask and deepen their faith along the way with 365 Bible Answers for Curious Kids, a unique daily devotional full of biblical answers to curious questions about God, the Bible, and Christian faith. 365 Bible Answers for Curious Kids is a tremendous tool for every Christian home! Through a daily devotional, questions about God, the Bible, and faith are answered in a loving way that points children to God’s plan and His love. Parents will appreciate the thorough research and accuracy for this wide range of theological, historical, and faith topics. In addition to faith topics, this devotional addresses topics such as Christian traditions, the historic growth of Christianity, how to become a Christian, and what it means to be a Christian in today’s world. A helpful and complete index of questions includes the following topics: time; God; God’s promises; Jesus; God’s Holy Spirit; the Bible; the Old Testament; the New Testament; Christianity; prayer; the Church; Christian seasons, holidays, and traditions; being a Christian here and now; and eternity. Each devotion is written so that it can be read and enjoyed on its own at any time, and many include a “Want to know more” cross-referencing section at the bottom of the devotional for the extra-curious child who wants to learn more. 365 Bible Answers for Curious Kids will help you nurture and grow your child’s faith, as well as naturally and gently, day by day, grow the child’s knowledge about what it means to be a Christian. 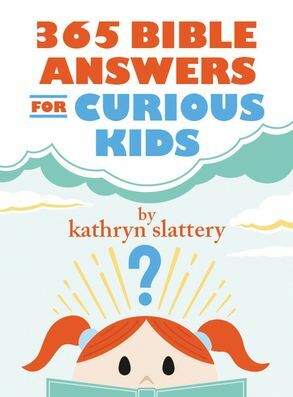 Engage the minds and hearts of the curious kids in your life for Jesus every day with 365 Bible Answers for Curious Kids.